I wonder if one could read the writings of pastors from a hundred years ago, and see which of these echoed the sentiment that Paul here expressed, and then compare their convictions with those of pastors today and note the differences; how divergent those differences would be. I fear that too many are losing, or have already lost such conviction in favor of ‘accommodation’, that is, being tolerant of extra-biblical views expressed even by those intellectual (and liberal!) Bible scholars who downplay, or even deny the inerrancy of God’s Holy Word and the Gospel message of Jesus Christ and Him crucified for the sins of the world (Follow the tracking of this downward spiral into apostasy in Paul Smith’s newest release New Evangelicalism: The New World Order. Anne Kisly has posted a recent book report on this! This Gospel is effective, capable and self-contained in its ability to bring fallen humanity into a genuine salvation experience and communion with God as their Father – no supplemental philosophies, rites, rituals, dogma; no borrowing of other religious views and, or convictions and, or beliefs are necessary, be they based on Christian perspectives or otherwise. To be more exact, anything added to the Gospel is considered blasphemy – whether it’s our own works or alternative spirituality, because such things presume that they have an innate quality comparatively worthy to supplement the work of Christ Jesus on the cross! No genuine need exists (except in the minds of Emergent teachers, and synergistic New Agers) to ‘make the Gospel more relevant’ or create a ‘new spirituality’ to redefine a Gospel which these blind guides (MATT 23:16,24) think that “no one has gotten it (the Gospel) right yet”. The power is of Almighty God, and only He ALONE via the Gospel of Christ is able to convert sinners of dead spirits to saints with resurrection power and new life in Jesus! No one has the right to re-define, change (from old to ‘new’), or re-imagine the Gospel or any biblical doctrine for that matter, and that means NO ONE!! We are responsible to believe the Gospel; and this omits any works or efforts of our own! My quandary in my ‘B.C. days’ was, ‘How could I possibly obtain righteousness before God, and thereby find acceptance with Him?’ I grew up as a Roman Catholic, and early on, I saw the vanity of ritual and ceremony as being incapable of producing any real righteousness in me. When I realized that by simply placing my faith and trust in the LORD Jesus and what He accomplished for me, by dying for my sins on that cross, it obviously revolutionized my entire life! And most of my family came to believe as well, once they realized that what I had was not ‘another religion’ or a ‘conversion to some wacky cult’. There are various views on this expression; some suggest that our faith is an individual matter (which it is) and that we must all exercise our God-given faith in believing the Gospel, that is, from one person’s faith to another person’s faith, each must place their faith in Christ. Others see this as meaning the faith of Jews and Gentiles, each coming from their own vantage points of the Old and New Testaments to the cross and thereby the salvation offered through the Lamb of God. Still others state that this refers to the progressive faith of any particular individual, as it develops into stronger recourse and depth in their life towards Christ Jesus. I see merit in all three positions, but most especially the first, for as Paul quotes Habakkuk, “the just shall live by faith” that is, the individual that places faith in the LORD will find life inherit in the LORD Himself. An interesting note from Chuck Missler is that this quote from HABBAKUK 2:4b is cross-referenced in three New Testament books: GAL 3:11; HEB 10:38 and here in ROM 1:17. These three epistles in a sense form a trilogy that expresses the three different aspects of the verse in Habakkuk. 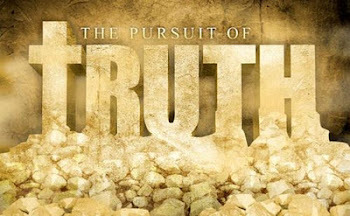 - The theme of Galatians is the obtaining of life in Christ Jesus apart from works, thus “the just shall live by faith". - And as we will see, the theme of Romans is how we may become justified and thereby made righteous before a Holy God, thus “the just shall live by faith”. See JOHN 6:51; 7:17,37; 10:9; 12:26; also MARK 8:34-35. Every soul ever born on this planet has a choice as to whether or not they will receive salvation through repentance and faith in Jesus Christ, once presented with these truths; and by God’s grace, will receive the promise of eternal life. However . . .
. . . they have not all obeyed the gospel. For Esaias saith, Lord, who hath believed our report? Skeptics and disbelievers will ridicule the love of God, saying, “So your God is such a loving God that He extends welcome to any and all, but if they refuse Him, then its all hell fire and brimstone! What kind of love is that? ?” As if the latter is the consequence of refusing the former! Yet such is not the case. The fact of the matter is that we are all condemned already because the sinful nature is inherent in our very beings, for we are all children of Adam, who fell into sin with Eve by rebelling against the command of the LORD. It is the Divine grace of the LORD which has made this provision of salvation through Jesus Christ, and if any reject such, then this glorious intervention of the Gospel is circumvented by the disbelief of such lost souls, and they simply continue unimpeded on their way to the wrath of God’s judgment and its consequential damnation (See JOHN 3: 16-19; 2 THESS 1: 7-9). We Christians are not appointed to wrath but to obtain salvation (ROM 5:9; 1 THESS 5:9; the completed work of salvation which will result in our glorification, that is, the redemption of our corrupt bodies at the rapture of the church); yet this Christ-rejecting world shall indeed suffer the wrath of the Lamb of God during that time period known as the Great Tribulation of seven years (see the recent article on 24 Signs of the LORD’s RETURN As Found in Matthew 24 – on TTUF. A graphic illustration I use that demonstrates God’s willingness to show mercy and not judgment is that ‘He drags His feet when it comes to Judgment, but sprints to deliver mercy’. A great example of this is the man Methuselah, the oldest man that ever lived in all history! It was prophesied by bestowing him this name that he was given that the year in which he died (his name actually means, ‘his death shall bring’) the Judgment of the Flood would come; yet God also made immediate provision for Noah and his family long before the first drop of rain ever fell. Also, the judgment of the tribes of people in Canaan didn’t fall upon them for well over four hundred years, during which time, God waited for them to repent, another demonstration of the long suffering of the LORD. 1 CHRON 21:13; NEH 9:19; PSALM 25:6; 51:1; 106:45; ISAIAH 55:3; 63:15; LAM 3:32 – all of this from the ‘God of the Old Testament’ Who supposedly is all about wrath and judgment; and He is, for those that reject His grace and mercy, but only fools do such things! And getting back to ROMANS 1, and our text, such are these ungodly, unrighteous fools who “hold the truth in unrighteousness” – “hold” in this reference is from the Greek word, katecho, meaning “to hold back, detain, retain from going away, to restrain, hinder (the course or progress of), that which hinders, Antichrist from making his appearance; to check a ship's headway i.e. to hold or head the ship to hold fast, keep secure, keep firm possession of to get possession of, take to possess”. Katecho is the word used also in ROMANS 7:6 where the law held us captive due to our sinful nature and crimes committed against the Throne. It is used in the positive sense in HEB 10:23. Yet here we see that while there are those that have access to the truth, and have the means by which they could benefit from it, they damn themselves by restraining and hindering it in its effective ministry. Even the truth of God as Creator which is manifested obviously in the orderly design of creation, they have rejected (as Paul will elaborate in a moment); instead they favor the fantastical theory of evolution* and deny any evidence of a Creator-God. The more we learn about “the invisible things” such as cells, DNA, molecules, atoms, sub-atomic particles and quantum mechanics, the more we understand that our observable reality is not derivative of a ‘happy accident’ or randomness. Rather, they are all a demonstration of the LORD’s “eternal power and Godhead” and thus any nay-Sayers skeptics, humanists and evolutionists are “without excuse”. And changed the glory of the uncorruptible God into an image made like to corruptible man, and to birds, and four footed beasts, and creeping things. In reference to vs. 21 and spiritual darkness, see also – MATT 6:23; JOHN 1:5; 3:19; EPH 4:17-19. While the evidence in creation is readily available, the rejection of such is a rejection of the God of such handiwork and thus the glory of God is not exhibited in their lives; and since ‘God is dead’ in their eyes, they see no need to be thankful; a heart devoid of thankfulness to God is a heart prone and susceptible to blinding pride. We see the same phenomena today with the New Age movement, various shamanistic religions, those that espouse witchcraft, and even elements of the Emergent crowd that sees ‘God in everything’ that is, panentheism (God in all things, as something similar but different than pantheism, which is all is God, and God is all). We see the same thing in science when Carl Sagan states that “the Universe is all there is, all there was and all there will ever be, and that if there is a God, then it’s the Universe itself”; also with those who are zealous in preserving the Earth in an ecological war that would make all humanity P.O.W.s or even casualties of war, for the sake of preserving a little known, almost extinct fish, bird, turtle, what have you. How ironic that that which God created to be of service to humanity (the Earth and all therein), human wisdom has determined that we are the obligated servants of this planet; how very like the blinding power of rebellious sin to reverse the priorities that God laid down in His Divine Order! And speaking of ungodly, unrighteous reversals . . . Referring back to vs. 18, note that the foolish “hold (down) the truth in unrighteousness” and yet they proceed even further by “chang[ing] the Truth of God into a LIE…” in vs.25. Such devilish deterioration and devolution! The word used for “change” in vs. 25 is metalasso, which means, “to exchange, to surrender one thing for another, and exchange meaning a supposedly equivalent swap.” This is relativism at it’s ‘finest’; where one may view Truth as truth, but no more so or less than any other ‘truth’/lie. I believe that it’s in the willingness to make such an exchange that the spiritual principle of deception comes into play in the hearts and minds of such willing to do so. Paul makes a connection between such deception and the sexual perversions he relates to it as a resultant experience. First of all, these statements of truth are not coming from me, but from the Scriptures – this is what God says about sin; this sin, like all sin can be forgiven in the Person of Jesus Christ, and we are all sinners in need of forgiveness and salvation! Secondly, I know that there are Christians who were previously in this perverse lifestyle or at the very least have had one or more homosexual encounters (either consensual or not) and as a result find themselves drawn towards more experiences of the same. 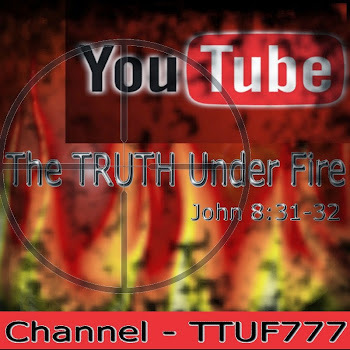 and Nathaniel’s Testimony of Deliverance – Part 1 (8 mins, 12 secs) of 2 (note: the views and perspectives of The 700 Club are not necessarily those of us at TTUF). It's the earnest and prayerful hope that those who are reading this article, that find themselves bound by this sin will know the sweet freedom in Christ Jesus that these men in the video presentations above have found! Mainstreaming Pedophilia (WARNING: Some statements made in this article are graphic and offensive; please be advised!). It has been eloquently and rightly said that there really is no such thing as evil; this is not some Hindu or New Age dogma I’m speaking of here. Obviously, in the world we see examples of evil every day. So what do I mean by this statement? In a comparative sense, there is no such thing as cold; cold does not exist in a measurable sense in and of itself. Cold is the loss of caloric energy or heat, and when we say something is cold, what we are really saying is that it lacks heat energy. Likewise there is no such thing as darkness – we measure the amount of light in any given environment and the extreme lack of photons present in any given situation is perceived as simply being ‘dark’. So in this sense, evil is the lack of God’s Spirit and all that this entails – where there is a complete void of God’s presence and influence, there is evil (a lack of all that is holy, good, righteous, etc. For those who wonder how a God of love could allow such evil in this world, the above analogies offer much insight!). Also: GAL 5:18–21 and 2 TIM 3:1-9. “The Spirit of God strove with men, by sending Enoch, Noah, and perhaps others, to preach to them; by waiting to be gracious, notwithstanding their rebellions; and by exciting alarm and convictions in their consciences. But the Lord declared that his Spirit should not thus strive with men always; he would leave them to be hardened in sin, and ripened for destruction. “This he determined on, because man was flesh: not only frail and feeble, but carnal and depraved; having misused the noble powers of his soul to gratify his corrupt inclinations. God sees all the wickedness that is among the children of men; it cannot be hid from him now; and if it be not repented of, it shall be made known by him shortly. “The wickedness of a people is great indeed, when noted sinners are men renowned among them. Very much sin was committed in all places, by all sorts of people. Any one might see that the wickedness of man was great: but God saw that every imagination, or purpose, of the thoughts of man's heart, was only evil continually. This was the bitter root, the corrupt spring. “The heart was deceitful and desperately wicked; the principles were corrupt; the habits and dispositions evil. Their designs and devices were wicked. They did evil deliberately, contriving how to do mischief. There was no good among them. God saw man's wickedness as one injured and wronged by it. He saw it as a tender father sees the folly and stubbornness of a rebellious and disobedient child, which grieves him, and makes him wish he had been childless. “The words here used are remarkable; they are used after the manner of men, and do not mean that God can change, or be unhappy. Does God thus hate our sin? And shall not we be grieved to the heart for it? Oh that we may look on Him whom we have grieved, and mourn! God repented that he had made man; but we never find him repent that he redeemed man. God resolves to destroy man: the original word is very striking, 'I will wipe off man from the earth,' as dirt or filth is wiped off from a place which should be clean, and is thrown to the dunghill, the proper place for it. Full web content on Scofield's commentary on Genesis 6 Some of the views expressed by Dr. Scofield are not necessarily those of this writer. Such is the deplorable, irremediable condition of humanity whose ability to genuinely reform, much less transform their nature is abjectly non-existent. It isn’t enough that humanity happily partakes of sin and behavior that is offensive before the Holy God, but that we have that tendency to take delight in those which partake of the same sins as we ourselves, making us doubly guilty before the Judge of the whole Earth! Paul continues to lead us through this epistle with charges and declarations most fitting for fallen man; he lays down such a logical, practical foundation in establishing our utter hopelessness and futility in obtaining righteousness by our own efforts, whether we are Jew or Gentile in the next couple of chapters, that no argument can assail against it! This concludes this study, and we will pick up beginning at chapter two, next time on TTUF!